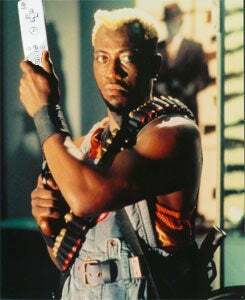 Wesley Snipes, unlike most people at Sundance, is really there to find the Wii Town. "I want to de-virginize myself into the Wii...if I find it." Wii Town's vampire and tax-free, I hear.